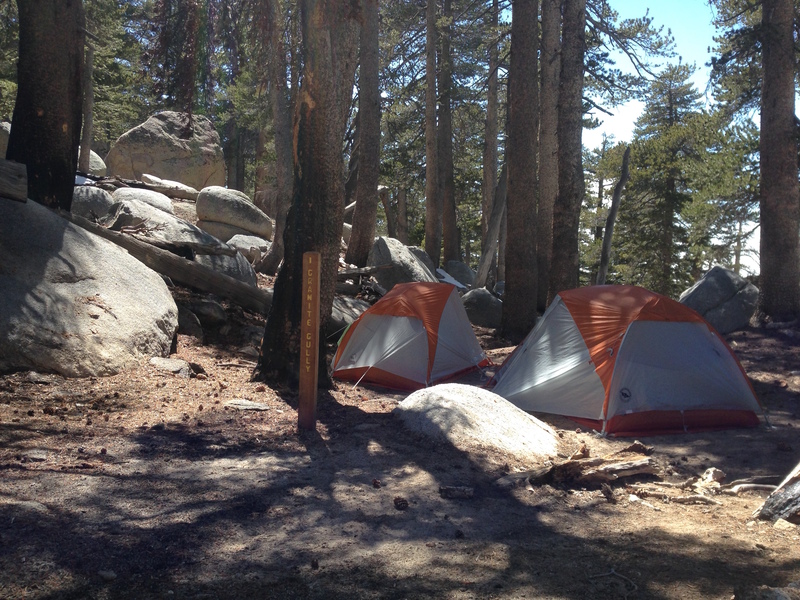 Granite Gully campsite rests 9800 feet above—and theoretically two hours away from—the beaches of Southern California. While this space has been labeled by modern humans as part of the Little Round Valley Campground – existing in the larger Mount San Jacinto State Park – it is a realm that has seen little change, even as it has towered before the birth of Los Angeles and the millions of people who have settled there. No doubt it will placidly exist in the face of the millions yet to come. Snow falls and melts. The cones of hefty lodgepole pines blanket the ground in places. Granite slabs and boulders abound. There is no road for motoring to the campground, though you can take the Palm Springs Aerial Tramway to a station at 8516 feet and then hike 6.5 miles from there. Little Round Valley has been set up for backpackers. My friend, Jodi Reed, and I thought it would be a great place to head during our shakedown backpack trip in preparation for a longer one on the John Muir Trail. Jodi has assembled some ten or so people for this JMT trek. At least six plan to attempt the entire trail, while others expect to hike shorter legs. I’m in the less ambitious group. The length of the John Muir Trail actually went on my bucket list after I backpacked a stretch of it at the age of 11. Yet I have – most sadly – been forced to face my personal elevation limitations. On more than one occasion, I’ve experienced scary and debilitating attitude sickness above 10,000 feet—I’ve chosen to live life below that line. So I’ve selected a route I can do with the group, before doubling back to Tuolumne Meadows. With that decision in place, I embarked on this two-night trip to discover any other limitations I might encounter—and to test my gear. My second fear – setting altitude sickness aside – centered on how I would do in a newer pair of boots. They had served me pretty well on a few long day hikes; yet I had not tested them on trails with significant elevation gain, nor had I hiked in them wearing a backpack. I was less worried about my pack weight, as I’d recently purchased lighter gear. That said, pack weight can certainly “go up” with the level of rigor. I was also somewhat worried about using my new gear successfully, particularly the SteriPEN. I’d never attempted to purify water before. One last point: Jodi and I were both concerned about the weather forecast. While it looked like we’d avoid precipitation, the nighttime lows were expected to hover around 32 degrees. We got a late start on our first day, not reaching the Deer Springs trailhead – near Idyllwild – until 4:30 pm. Our first night was slated for Strawberry Junction Campground, some 4.3 miles away (elevation 8040). I’d hiked this stretch of the trail before (sans backpack), so I didn’t bother to ponder the 2420 elevation gain ahead of time. That knowledge might have knocked me off my block before I assembled my gear. The hike proved to be eerie, as the mountain was enshrouded in low clouds. We passed blooming Manzanita, Indian paintbrush, and lupine. 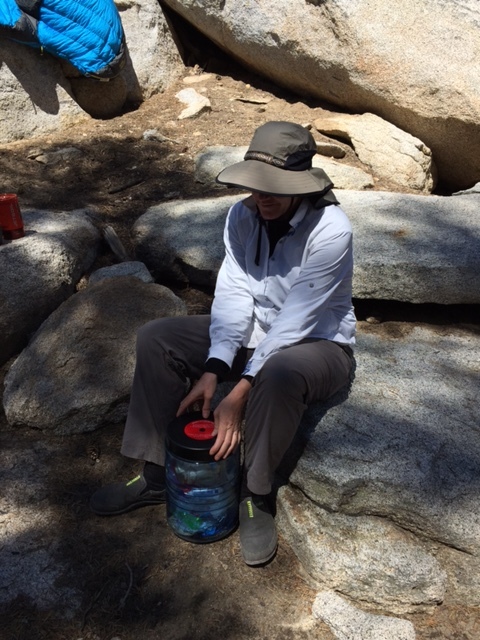 I’d packed wanting to simulate the heaviest weight I might carry on the John Muir Trail, so I threw in my bear canister (bears are not a threat in this park) and started with a full gallon of water. The backpack was manageable, though it became tougher to deal with as we closed in on Strawberry Junction, which did not have an easily accessible water source. I was happy to have the gallon. We even ended up sharing water with two nearby campers. As we scurried to set up camp, the sunlight was diminishing fast. Jodi and I headed to our tents as soon as we finished eating our respective freeze-dried meals, which we were testing for the JMT trip (I’ll keep Mountain House lasagna on my packing list). I lay in my sleeping bag (rated 30 degrees and up) dressed in fleece leggings, a wool long underwear top, and socks. It wasn’t long before I knew I would not sleep unless I added more layers. I ended up donning three pairs of socks, my hiking pants over my leggings, two long underwear tops, a hoodie, and a down jacket (with a hood). This finally did the trick. I slept well enough to face day two. Over breakfast, we talked each other out of bailing. Then we broke camp, and began the 3.8 mile hike to Little Round Valley. The weather was ideal for our pursuit. I felt cheerful—we had a lot more time to reach the next destination, though the trek was only slightly less challenging than day one. During the last hour, we stopped at a rushing stream, and I finally got to try out my SteriPEN, which uses UV light to purify water. I’m glad Jodi was there. I couldn’t completely remember how to use it, and I was in no mood to rifle through my pack for the instructions. Needless to say, this handy tool has become my preferred water purification method for the JMT trip. The rest of the day was relaxing, once we organized everything. For the record, neither of us felt inspired to climb another thousand feet to reach the summit. We rested and then tested out more backpacking grub. Jodi contributed a delicious cheesecake sold by Packit Gourmet. High marks, there. We retired to our tents before the sun went down. We knew how to bundle up this time. I’d like to say, “All’s well that ends well.” I’d like to report on how the hike out was a breeze. Yet my biggest problem surfaced on the way down. It wasn’t the double distance that bothered me—8 miles. I felt relatively hardy as we began our descent (and very glad the altitude had not done me in). It wasn’t the pack weight, either. It was the boots. They’d felt good on day one, pretty good on day two, and excruciating on day three. The downhill slope and my pack contributed to unwanted friction on the tops of my toes. I was forced to remove my boots, tape five toes individually, and put on my camp shoes, which are a bit like slippers (though the soles aren’t bad). I’d actually bought them with the idea I could hike in them in a pinch. My taping job and the new shoes did ease the pain, but not completely. I began steeling myself for the remaining 4+ miles. I was pretty sure I could make it, but I figured we were facing a long afternoon. Then Jodi – who was supposed to be waiting at the next water source – returned to inform me we had taken a wrong turn. I was about to ask how many more miles when she went on to say we could continue down this trail – the Marion Mountain Trail – for another 30 or 40 minutes and we would reach a parking lot where a lovely young couple was waiting to drive us to our car. For me, this was a moment of pure delight. To make a long story short, Jodi and I and the lovely young couple shoved our four backpacks, along with our bodies, into a ride only Batman could love. It was a squeeze, but we made it back to the car in time for a nice lunch in Idyllwild. Final analysis: I figure if I can work out my footwear in time for the JMT trip, I’m good to go. 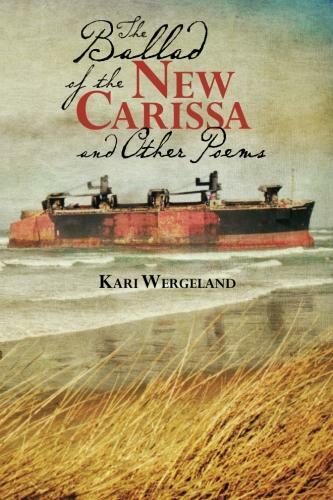 My poem, “Dueling Calendars,” has been published in River Poets Journal 2015 Special Edition – Sliding Doors/Parallel Lives.